Popsicles are one of our favorite summer treats. They’re cool, refreshing, and delicious. When our sponsor Yoplait® asked me to create a recipe using Yoplait® yogurts, I knew right away that we were going to make popsicles. And, boy were they yummy! We took a classic flavor combination – peaches and cream – and added a frozen twist. 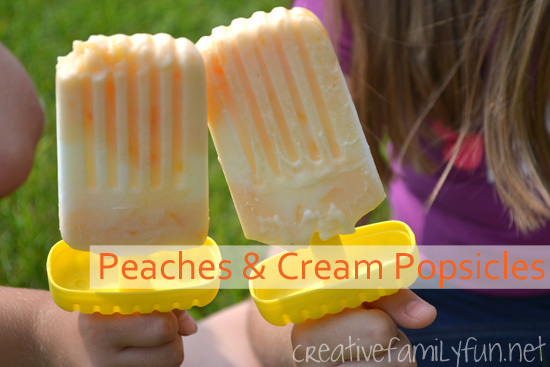 Get ready to try some yummy Peaches and Cream Yogurt Popsicles. First, peel and dice one peach into small pieces. Next, empty 2 containers of Harvest Peach yogurt into a bowl. Add the diced peach and mix thoroughly. 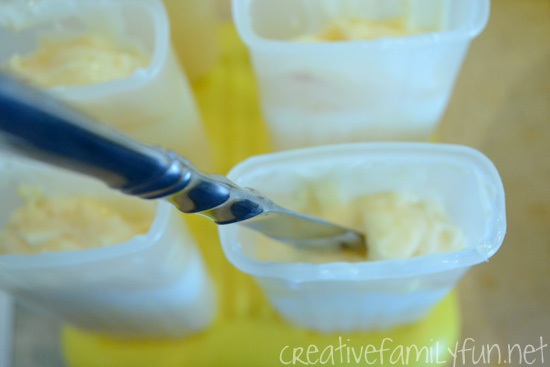 Fill the bottom 1/3 of your popsicle molds with half of the peach and yogurt mixture. Fill the next 1/3 of your molds with French Vanilla yogurt. 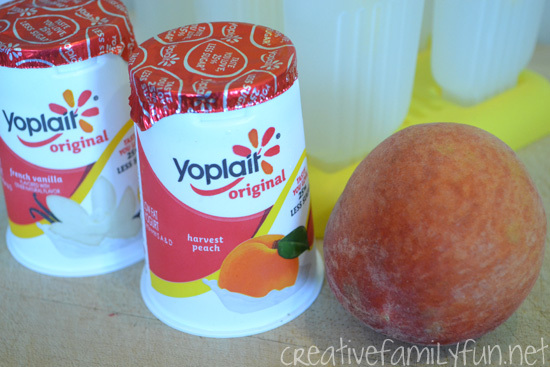 Finally, add the other half of the peach yogurt mixture to your molds. After the molds are full take a knife and mix up your yogurts to make a swirl pattern. Insert the knife and move it up and down 3 to 4 times in each mold. Don’t mix too much as you still want to keep your 2 flavors separate. Insert sticks and place in the freezer. Freeze until solid. 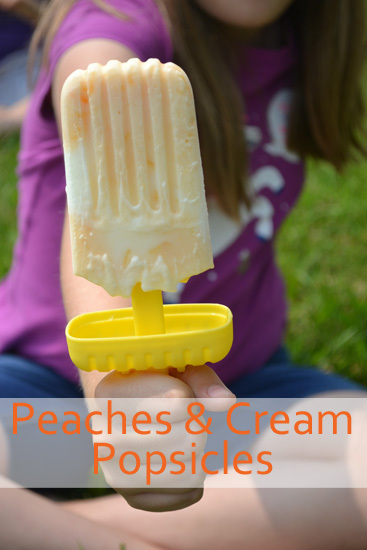 These popsicles are so easy and make a great wholesome summer snack. I can’t think of a better way to cool down on a summer afternoon.